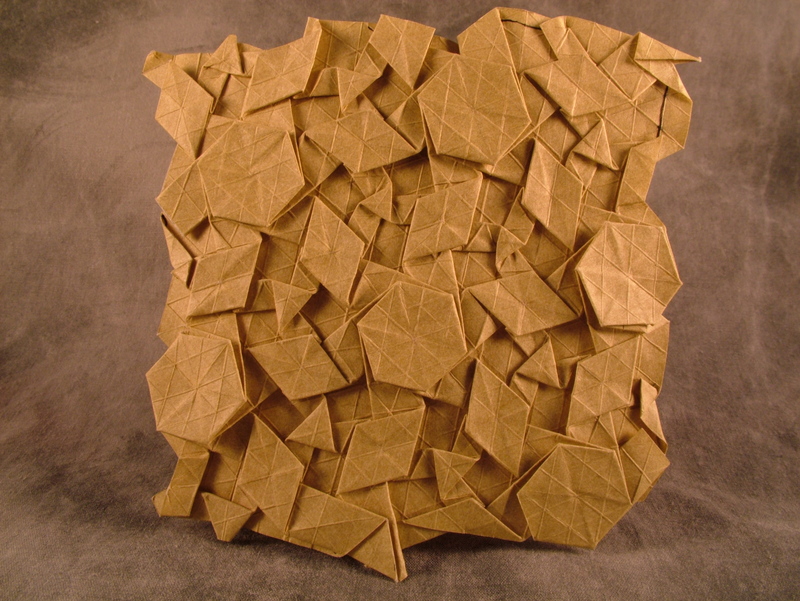 Here’s a rudimentary sketch of a 3.4.6.4 “Flagstone” tessellation. 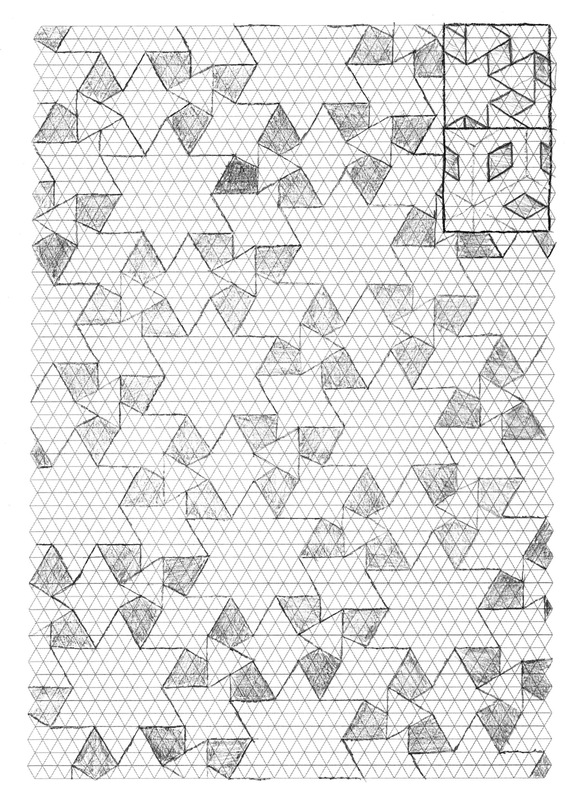 Formed by creating the initial “waterbomb” type collapses, and then twisted to form the familiar flagstone style tiling. I did not draw the lines for the WB collapses but I’m guessing you can figure this out if you have any idea what I’m talking about, right? More info on all this soon. I’m writing something down but I keep finding myself hamstrung by lack of proper wording and also some gaps in understanding. 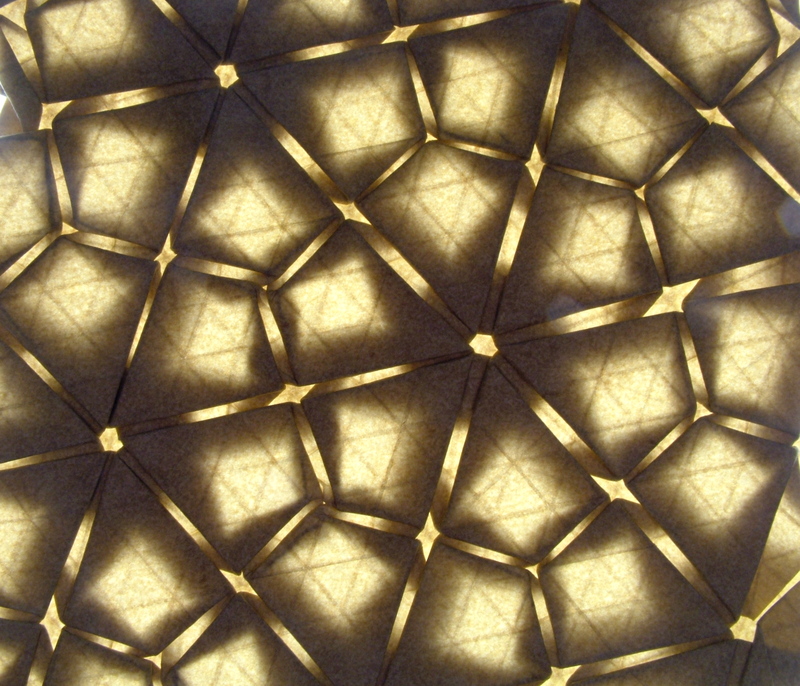 In the little box sketches in the upper right, you can find two examples of a rhombus tiling (the dual of the 3.6.3.6 tessellation) that have been done as a normal straight-pleat tessellation, and then as a flagstone style tessellation. If we adhere to using just the grid and it’s main offset lines (in this case, 30 degree angles) the flagstone style pleating is more efficient in terms of total area that one can tessellate given a particular number of pleats. 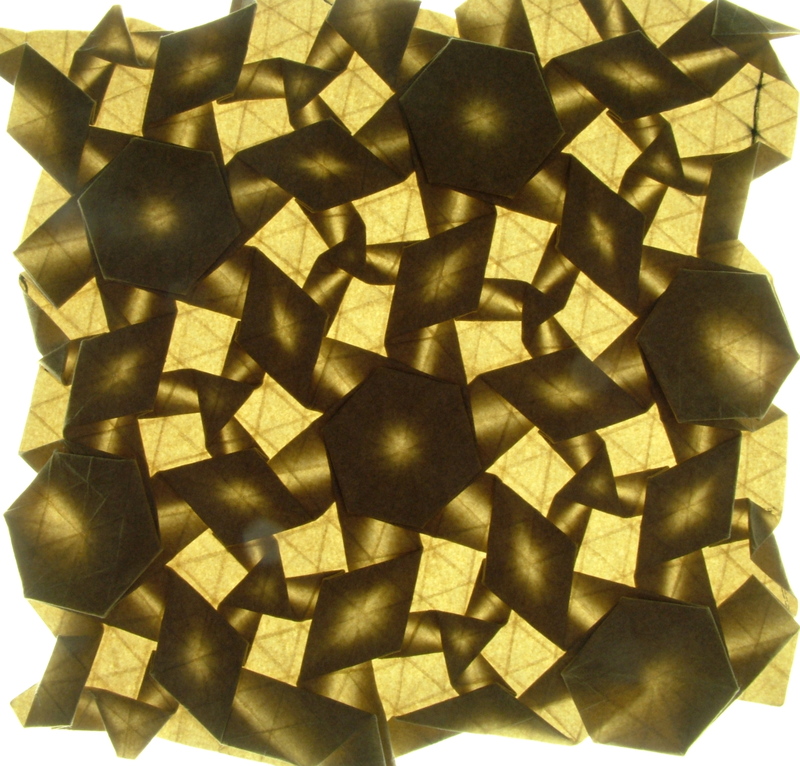 Of course, the hinges that connect the flagstone polygons together can be as far apart as you want, or as close together as you want, between 180 and 0 degrees. And, with that, the smaller the angle of the hinge fold between the flagstone polygons, the more efficient the use of paper is. There’s a correlation here between complexity of folding and pleat width, though, so I wouldn’t suggest making them too small or you’ll have a very hard time folding them. The same sort of pleat shrinking applies to the normal straight pleating style, but apples to apples I think the flagstone method is less wasteful of space and paper. 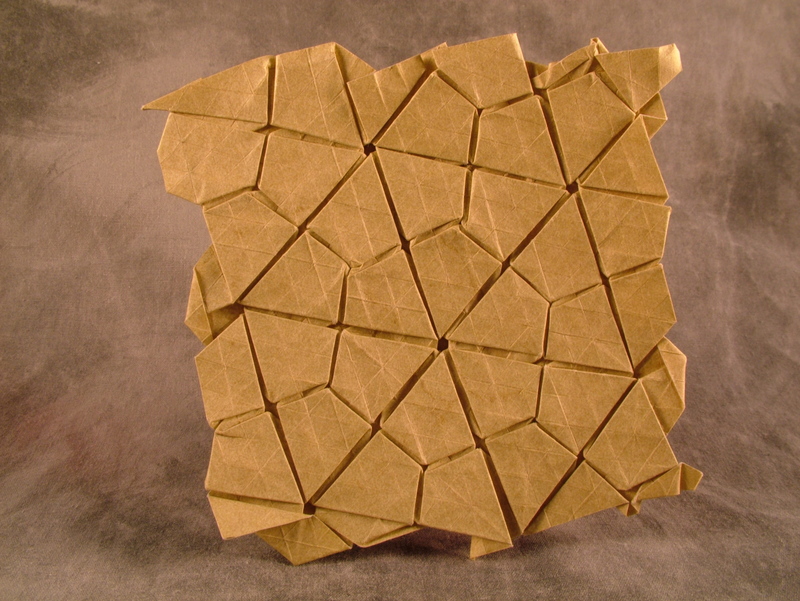 So after playing with all this for a while I’ve realized that almost every flat tessellation I have folded can be re-folded as a flagstone tessellation, which changes the nature of the design by quite a bit. This is some interesting grounds for exploration and adaptation, in my opinion. Thought I’d share this with you, in case you find it interesting too. UPDATE: here’s a selection of images of this design, folded. It’s beautiful!